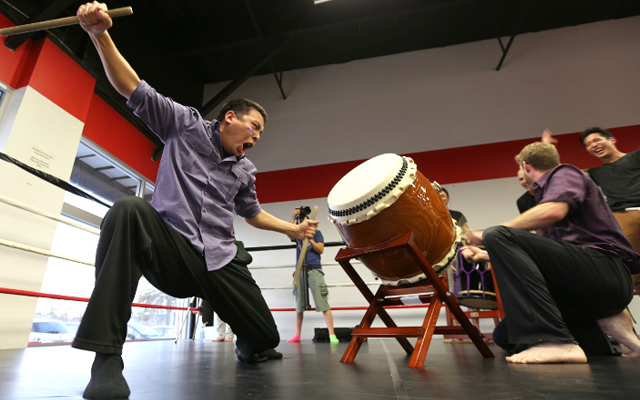 Matsuri is a completely energized and traditional Orion Japanese show that literally does not miss a beat! During the 70 minute performance the cast of 18 very skilled athletes show off their amazing strength, talent, endurance and mega muscles with a variety of acrobatic stunts, dance moves and mild humor. The choreography is insatiable, with each performer smiling and moving in complete unison. The cast brings the crowd alive by having them participate with stomping and clapping. At one point the performers create an illusion that they are playing on imaginary drums, when in actuality it is only the stomping of their feet, they are merely creating a "foot drum." This energy could light up Las Vegas! Both cast and crowd unite together to combine young and old in a completely kid friendly atmosphere that brings a new meaning to the terminology "high energy." Matsuri, meaning "festival," holds true to the name. 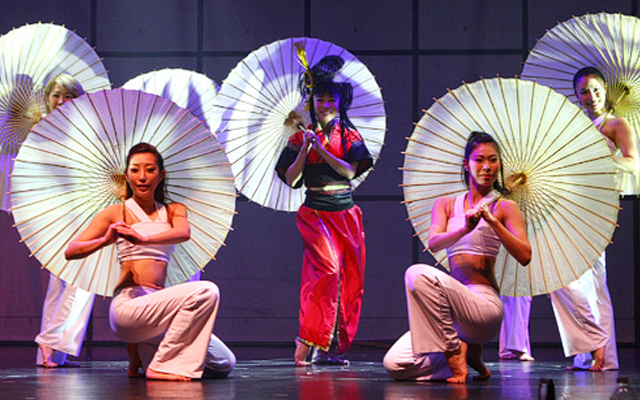 It is a complete celebration and the entire show is performed not only with a traditional Japanese theme, but they mix the modern pop culture of Japan in as well, leaving people of all ages entirely entertained, mesmerized and completely energized. The audience never knows what to expect next! This is one of the only musical shows ever made that did not have any spoken words or singing, yet everyone participates. The well known Japanese Designer, Junko Koshino contributes wholeheartedly to the design of the crafty and energized costumes that bring so much zest to the show. In addition to the costumes being not just vibrant in color, they are beautiful and are not only creative in design but compliment each cast member individually and stay true to traditional Japanese culture both old and new. Originating in Japan in 2001, the show was originally called "Muscle Musical" because of all the strength and athletic ability shown by virtually each cast member. There is a heavy and very difficult audition screening process that is necessary to complete before they are accepted into the show. With the difficult stunts performed, it is understandable as to why. These stunts, such as the "Human Jump Rope," can only be performed by professionally trained athletic performers that have the necessary endurance to maintain the energy level as seen during each performance. 3535 S. Las Vegas Blvd. Las Vegas NV 89109.